As fans of the hit TV show Project Runway know, in fashion one day you’re in, and the next day you’re out. Nowhere is this truer than in the animal kingdom. One minute you’re a crab minding your own business in a tide pool, and the next, you’re a seagull’s snack. Unless you’re a decorator crab, that is, and you use this season’s seaweed to save your life. There are nearly 700 species of decorator crabs around the world—about a dozen of them in California, where they live in tide pools and kelp forests. 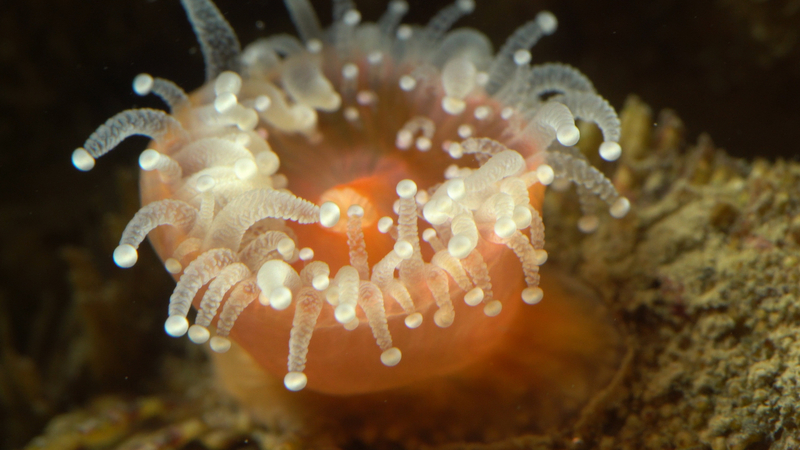 They camouflage by decorating their heads, or their entire bodies depending on the species, with pieces of seaweed, anemones or other materials around them, which they attach securely to a natural Velcro that grows right on their bodies. These golden-colored hairs are thick and curled to form long rows. 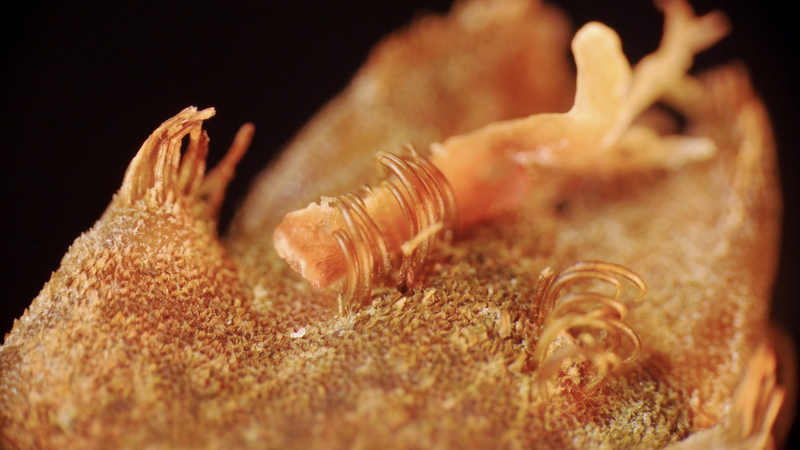 Some species of decorator crabs have these rows of hooked hairs only on their heads; others, on their entire bodies. Crabs have been evolving this unique way of camouflaging for millions of years. 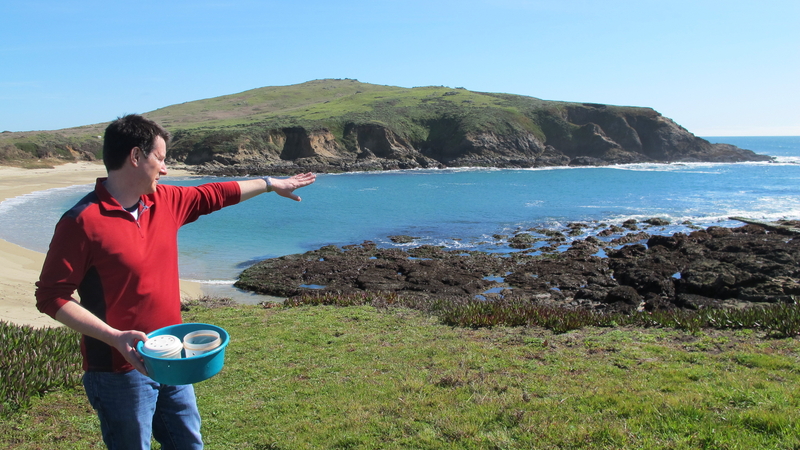 At his lab at UC Davis’ Bodega Marine Lab in Bodega Bay, Stachowicz collects crabs off the coast, places them in tanks, gives them some seaweed and watches them go to work. The process is more exciting than watching Project Runway contestants create their confections, if you consider that the crabs are making it work with much simpler tools than the designers. And the stakes are much higher. A pink Cryptic kelp crab cuts a piece of purple seaweed with one of its claws. Then the crab holds the piece of seaweed above its head, the only part of its body where it has hooked hairs—four rows of them, up and down its long nose. It moves the piece of seaweed back and forth, until it’s tightly wedged inside the hooks. The crab gives the seaweed a little tug with one claw, and sure enough, the seaweed stays put. Then it repeats the process, but on the other side of its nose. The result is a “hat” of bushy seaweed that protrudes beyond its head. With the seaweed, the crab is concealing two of its four antennae, short protuberances located near its mouth. These antennae are constantly aflutter. The crab uses them to smell, and they could call the attention of predators even when the crab remains still. By hiding the movement of the antennae, the seaweed visor protects the crab from birds pecking around in the tide pools and aquatic predators like fish and octopuses. 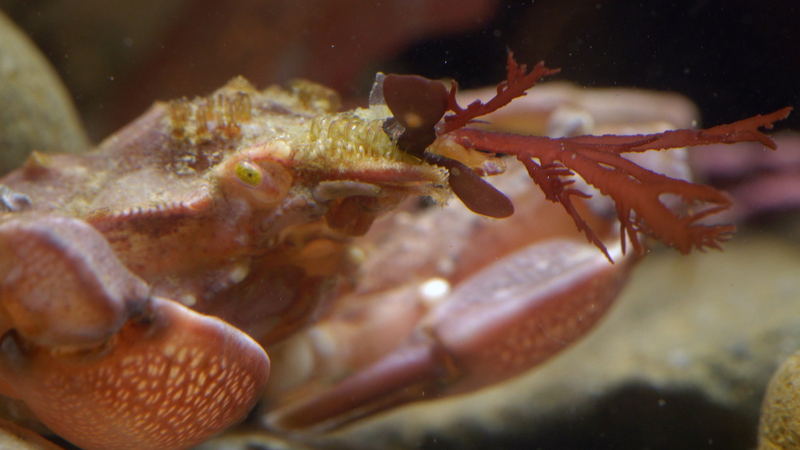 Crabs like this Cryptic kelp crab might be able to make do with decorating just their heads. That’s because they have another way of camouflaging: their shells can change color to mimic the algae around them. But other crabs have to rely solely on decorating for their protection and have evolved hooked hairs all over their bodies. They’re what Stachowicz calls “extreme” decorators. The moss crab, for example, is so covered in greenish golden hairs that it looks like a Barbie-sized furry toy robot. Some of its many hairs aren’t made specifically for holding seaweed. They have sensation in them so that when the crab moves its claw back and forth in front of its head, the hairs below the claw help it sense that its face is uncovered. So the moss crab gets to work creating itself a suitable outfit. It breaks off a piece of pink algae. Then it slides it in and out of its mouth. Moss crabs like the one that Stachowicz has collected also decorate themselves with strawberry anemones, bright-orange animals that provide the crab extra protection by warding off predators with their stingers. Over time, the anemones and seaweed can grow and spread on the crab’s shell, fed by nutrients from the crab itself. The fanciful outfit can become a heavy load; but ultimately, it’s worth it. Being fabulous just might save the crab’s life. Jacob Shea and Elliott Kennerson contributed reporting.